When it comes to Broadbeach holiday rentals, the Phoenician Resort apartments are quite different. It’s not just our location, quality and inclusions, but the type of guest we attract. Our apartments as popular with not only families, but also couples, groups and business travellers. It’s not hard to understand why, as offer all the space, privacy and facilities you need, as well as proximity to just about everything. For example, the Phoenician Resort apartments are just 100 metres from the beach. But that’s not all; whilst retaining all the peace and privacy you need, our apartments also put you in the heart of the action, just walking distance from Broadbeach’s famous restaurant strip. Our facilities are perfect, with a choice of pools, including a heated indoor pool for winter. Not that the Gold Coast really experiences winter; with 300 days of sunshine a year, it’s always paradise here. Phoenician Resort apartments offer one or two bedrooms, with wonderfully comfortable Queen-sized beds, luxury bathrooms, fully equipped kitchens, private balconies and so much more. The Phoenician Resort has, in addition to the pools, a sauna, spa, gym, lovely barbecue areas, secure undercover parking, tour desk . . . the list goes on and on. Our apartment kitchens are a point of difference that guests love. Let’s say you’re travelling with the kids; having a fully equipped kitchen means you can knock up snacks when needed and save money on eating out. For business travellers, it’s just so convenient. If you’re tired and you’ve got more work to do, the kitchen is there for all your needs. Business travellers also love the Phoenician Resort apartments as they offer plenty of space, privacy, peace and great security. 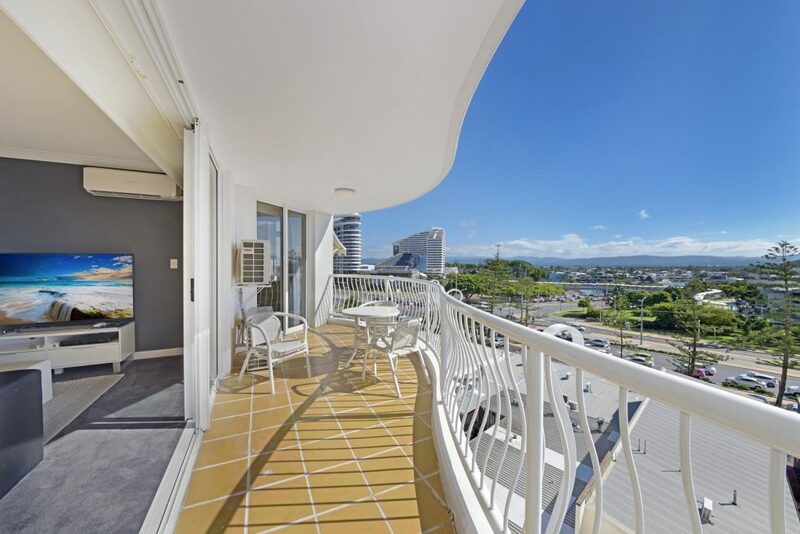 Broadbeach holiday rentals really do vary from budget accommodation to very expensive luxury accommodation. At the Phoenician Resort, we seem to have got it just right, offering great deals on 4-Star luxury accommodation. You won’t believe some of the savings you can make!